Hong Kong offers a wide arrays of delicacy from street food to Michelin Star Rated Restaurants. Check out some of the recommended dishes and experience its unique food culture. 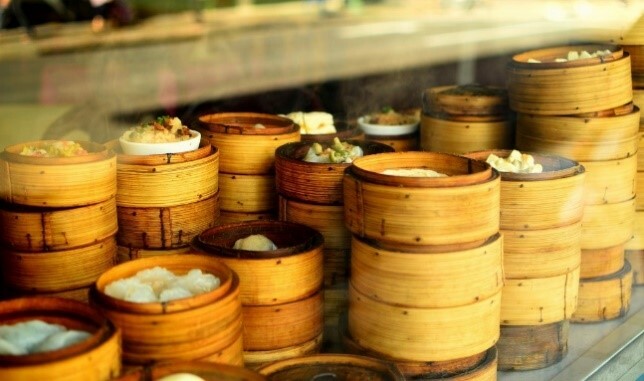 One of the most traditional and famous delicacies, Dim Sum refers to light pastries served in small steamer baskets. It is usually served in small portion which allow customers to order a wide variety of dishes from steamed, baked to fried dishes. As Dim Sum is served with tea, going for Dim Sum is known as 'Yum Cha', referring to Drinking Tea. It is a common gathering place for family and friends where one is definitely able to find a 'favourite dish'! 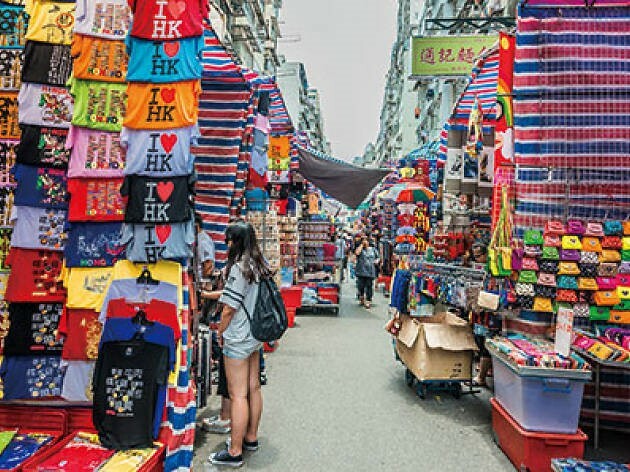 Noisy Cantonese joints where people eat with such determination there's a slight madness in the air; gilded, hushed dining rooms where waiters anticipate your every move; tranquil oases hidden on a mountaintop ... it's all available in Hong Kong. Dim Sum is not only delicious, it is one of the most unique food experience you can have. 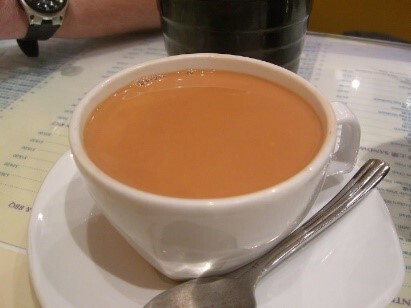 Hong Kong Style Milk Tea, also known as 'Stocking Milk Tea', is made with several types of tea leaves and mixed with evaporated milk. It is then strained through a stocking-like filter, enhancing in a smooth and creamy texture. Another local drink that everyone is recommended to try would be the Yuen Yeung. It is a mixture of coffee and milk tea where they complement each other perfectly. The name of the drink refers to Mandarin ducks, which are commonly in pairs, indicating the attraction between opposites in Chinese culture. Additionally, pineapple bun (Bo Lo Yau) is the perfect snack that goes extremely well with the 2 drinks. It is usually served with a dollop of butter and consumed together which makes them a great combination where even locals cannot get enough of it! You can find them in restaurants that are known as 'Cha Chaan Teng' in Hong Kong. 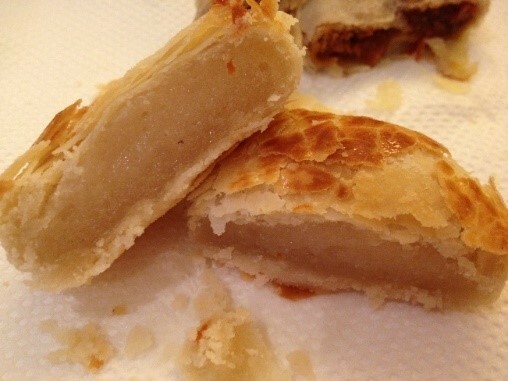 Wife Cake (Lao Po Bing) is a traditional Cantonese pastry with filling of winter melon paste and a crust of flaky pastry. It was said that the winter-melon puffs was made by a woman in the Guangdong province. As they were highly praised by the public, her husband declared that they were his wife's cakes where the name came about. Lao Po Bing can be purchased at Chinese bakery shops where much more varieties are available as of today. Claypot rice is a simple creation where white rice is steamed with a sauce mixture, your choice of meat and cooked over charcoal fire in a claypot. The sauce and flavour of meat is then seeped into the rice enhancing the taste where every scoop of it is rich in flavour. You are also in for a crispy layer of "burned" rice for an extra flavourful crunch when you reach the bottom of the pot! 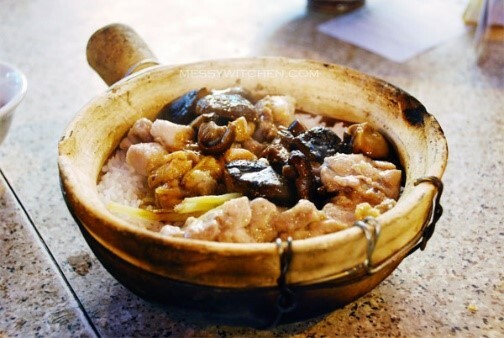 Claypot rice is definitely a must try to complete your visit in Hong Kong.